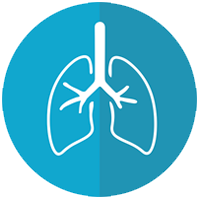 Our assessment includes interior/exterior inspection of the home for mold and conditions conducive for growth, air sampling for airborne spore levels, and laboratory testing. Our comprehensive report includes laboratory data and analysis on the types and quantity of mold spores in your home. 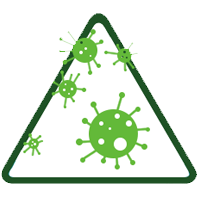 Molds are microscopic organisms present everywhere, indoors and outdoors. To grow and develop, molds need moisture and an organic food source (e.g., wood, paper). Molds grow by digesting organic material, gradually destroying whatever surface they grow on. Visible mold growth varies in color, it can be green, gray, brown, or black. The problem isn’t just that molds grow on surfaces; it’s that molds release countless tiny spores, which travel through air. Most people test for mold when they smell an unusual odor, see discolored spots, or become sick for no apparent reason. 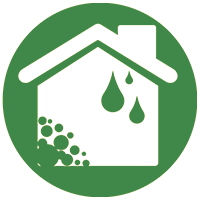 Because mold growth often is caused or accelerated by moisture, many people also test for mold after a significant water-related event such as heavy rains , water penetration in the basement, dishwasher floods the kitchen, washing machine floods in the laundry room, etc. The first step prior to considering remediation is to do testing and establish baseline conditions and the scope of any possible remediation; testing after remediation a followup test ensures that the mold has been properly mitigated. 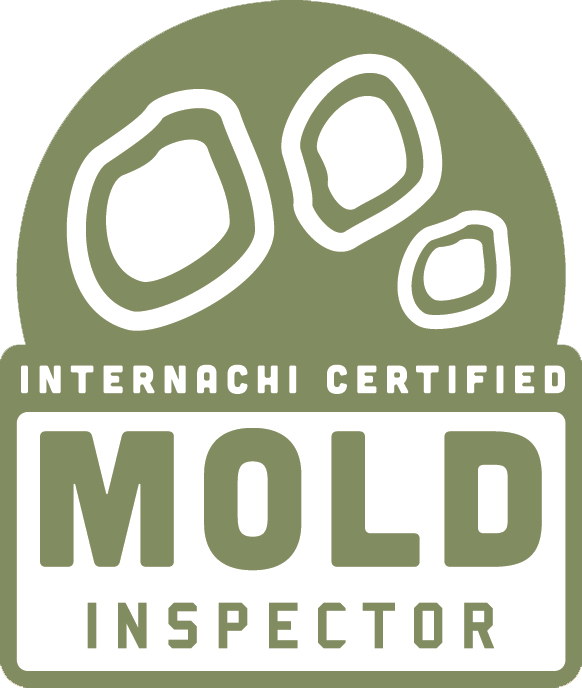 Our Mold Assessment gives you a comprehensive understanding of the types and extent of mold in your home, including visual examination, air sampling, and in some cases, surface sampling; we ship samples to a qualified lab for results and analysis, which we include in our Mold Assessment report.